Bryan Hendricks, an avid shotgunner, is the Outdoors Editor for the Arkansas Democrat-Gazette in Little Rock, Arkansas. He also served eight years with Missouri Department of Conservation and the Oklahoma Department of Wildlife Conservation. He has credits in more than 1,000 articles in nearly 80 publications worldwide. One year after it was officially announced, the new Remington V3 semi-auto shotgun is finally available at your local dealer, and for the most part it feels like a winner. 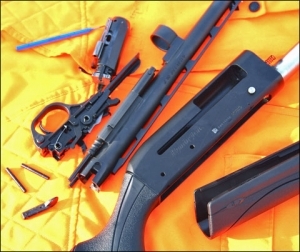 Although Remington introduced the V3 in February 2015, the shotgun didn’t start shipping until February 2016 at a suggested retail price of $995.00.